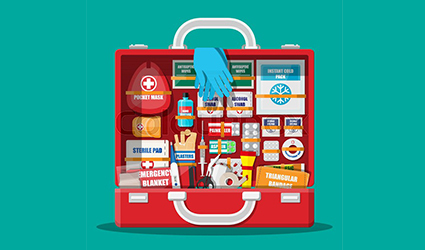 A number of first-aid equipment are necessary to be available in a hospital. One of these is a visual imaging device fitted with cameras called an endoscope. Our Ddu (Drugdu.com) team offers two various types of endoscopes such as flexible video endoscopes and portable LED light source ENT USB camera endoscopes. · Flexible Video Endoscope: This device is designed for use in the ICU to enhance tracheal intubation by traversing through the oropharynx, throat, epiglottis and glottis to finally reach the trachea owing to its flexible bending part which has a bending angle of 180⁰ upwards and 130⁰ downwards. It prevents any kind of injury to the airway. The handle section is easy to use with a single arm. It has an optional WiFi transmitter which links the handle part to an output device i.e. vision screen or mobile device. It features a high resolution 5” monitor that has attachment slots for HDMI USB and DVI output. · SY-P031 Portable LED light source ENT USB camera endoscope: This device is primarily designed for use in ENT surgeries. It has a waterproof camera head and is enabled with automatic balance and features multiple output attachments like AV, USB, etc.